Panda Bear (a.k.a. Noah Lennox) released one record in 1998 and one in 2004, but it was his third record, 2007’s Person Pitch, that made him a solo star. Granted, his success as a member of Animal Collective, one of the most influential and popular indie bands of the 2000s, gave him the profile to help make that album a success, but in all fairness, Person Pitch would have gotten there on its own, simply on the grounds that it was an excellent record. Not only that but the sound of that album served as the blueprint for Animal Collective’s breakthrough, Merriweather Post Pavilion, which became an even bigger success. Because of all this, it was easy to forget about Panda Bear’s early solo career and think of Person Pitch as his de facto debut, something that Lennox himself must have thought when making his 2011 follow-up, Tomboy. Now that one of his solo records developed enough attention, he has a certain reputation to uphold, so it doesn’t come as much of a surprise that Tomboy isn’t drastically different from its predecessor. Lennox is still creating trance-inducing pop, so there is still the familiar wash of unidentifiable sounds, looped rhythms and Lennox’s gorgeous voice, all drenched with more reverb than a football stadium could possibly allow. At the same time, though, Tomboy‘s personality is very distinct from his last album. Whereas Person Pitch sounded like a glorious summer weekend, dripping with warmth and nostalgia, Tomboy feels like the time spent alone in your bedroom once that weekend is over. There’s still a positive glow from the days’ events, but a sense of introspection, regret and loneliness begins to creep in. While Lennox still uses loops as the basis for his songs, there is far less reliance on samples, instead using a variety of guitar effects and electronic manipulations he created himself. The music is also more rhythm-based, accentuating the dub influence from his last album. Focusing on the more dreamy voice-as-instrument approach he used on “I’m Not,” Tomboy often deliberately downplays lyrics and distinct melodies in favor of feel and atmosphere, making the album a much more subtle and understated affair. He hasn’t abandoned singsong melody (check the affable album highlights “Last Night At The Jetty” and “You Can Count On Me”), but it’s no longer the center of attention. Songs like the title track and “Slow Motion” are perfect examples: both are pensive and moody but retain a gentle flow that helps them go down easy. 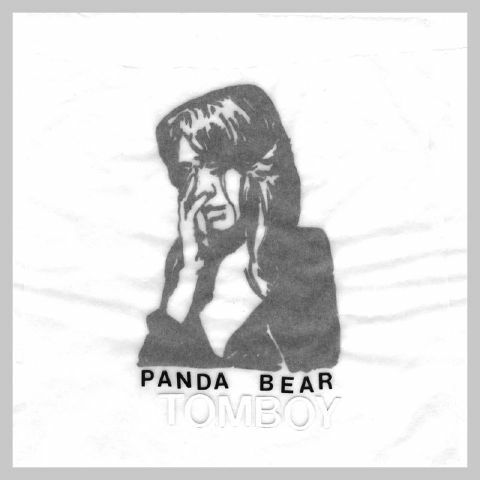 Meanwhile, the subtly shifting “Drone” and the weary “Scheherazade” are two of Tomboy‘s most striking moments, depressive and spare, expanding Panda’s palette and giving the album some much-needed balance. It isn’t all gloomy, though, as “Surfer’s Hymn” and the seemingly hopeful closer “Benfica” make perfectly clear. Over half of the album was released as singles prior to the album drop, but Lennox handed the album over to producer Sonic Boom (formerly of Spaceman 3 and whose recent work includes MGMT’s Congratulations), who broadened the album’s sonic spectrum considerably, rewarding close listening, especially through a pair of headphones. This record isn’t as immediate or brilliant as Person Pitch, but Panda Bear isn’t really going for the same thing here, instead finding quiet nuance in his own brand of psychedelic sound collage. Lightning can’t strike twice, and Tomboy isn’t always a worthy sequel, but it’s still a mature statement in experimentalist pop.